While the latest models of Porsche all feature the newest technology to some drivers nothing beats the look, feel and performance of a classic Porsche. 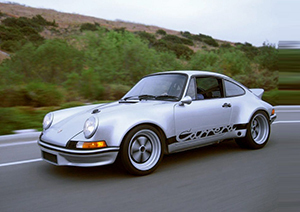 However preserving those classic Porsche cars requires a reliable service center that can help you with all aspects of classic Porsche maintenance and repair. Throughout San Diego, CA and the surrounding areas there are no better mechanics equipped to get the job done then the experts at German Motors & Imports. Since 1959 German Motors & Imports has specialized in the service and repair of classic Porsche models along with other vintage European brands. Decades of experience has helped us learn the best methods to get the job done faster and less expensive than dealerships and name brand service centers. We also have the San Diego area’s largest selection of replacement and repair parts and materials further guaranteeing that your Porsche receives accurate and quality services. Classic Porsche repair is best performed by trained specialists and at German Motors & Imports we provide drivers with peace of mind that their Porsche is in good hands. If you’re in San Diego or the surrounding areas and you’re looking for Porsche specialists to restore or repair your car then call and schedule an appointment with one of our mechanics today.